Paintless dent removal is a process in the Lake Wylie South Carolina area that can help you remove any pesky dents from hail damage or small fender benders. If your vehicle has a number of unsightly dents or even just one that’s really bothering you, you may be avoiding the idea of going to a repair shop as you could be without your vehicle for a whole day or days. Traditional bodywork often requires the removal of panels and then a complete refinishing of your paint job so that it can blend with the rest of your vehicle. A paintless dent removal solves all of these problems and offers a much more affordable way to fix small dents. The technicians at Piedmont Dent Repair can help you with hail damage repair or small dent removals throughout your vehicle. Simply contact us with the area that your vehicle is affected and we can prepare a quote for you and provide service at an affordable rate. Our staff provides effective mobile dent repair throughout Lake Wylie SC. We can come out to your location and perform our paintless dent removal in your driveway or at your place of business. From the quote through the completion of the repair, the whole process can take just a few hours. We stand behind our work as well. The mobile dent repairs that we provide are guaranteed. 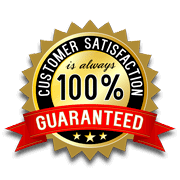 If you are unsatisfied for any reason and would like us to reattempt the fix or refinish a dent that we are working on, we will do it free of charge. With the prices on paintless dent repair when compared to traditional bodywork, we can also ensure that your insurance rates don’t rise. Rather than having to go through your insurance broker, these are services that can be easily afforded and in a timely manner. This service is a great way that you can get hail dent removal without affecting your insurance premiums! If you need mobile dent repair in Lake Wylie SC, contact Piedmont Dent Repair today to learn more. Welcome to Piedmont Dent Repair. We fix dents on your car, truck or SUV. Our paintless dent repair service is a method approved by all major insurance companies and even body shop owners.